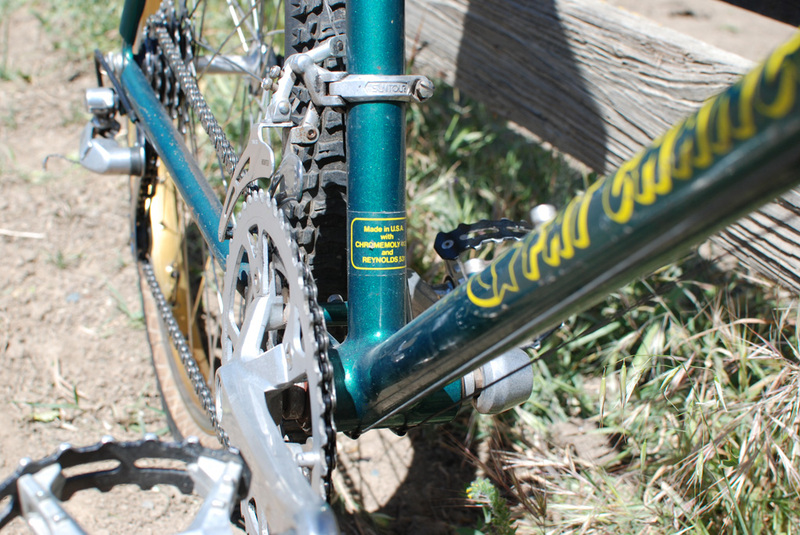 One of the highlights of this past weekend was getting to spend some time working on and ultimately riding this wonderful 1986 (built in 1985) Fat Chance (I use the name loosely here) Titanium. 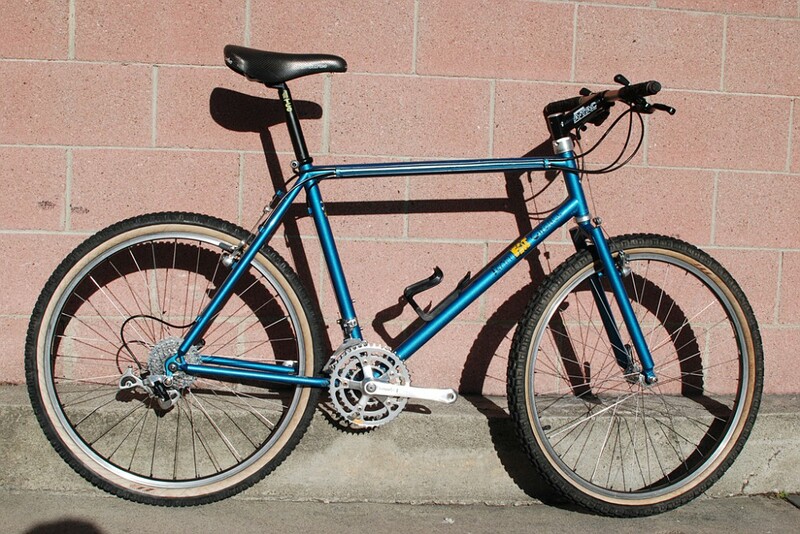 For the record Chris Chance will tell you this is not a Fat Chance, but rather Gary Helfrich's first Titanium mountain bike. 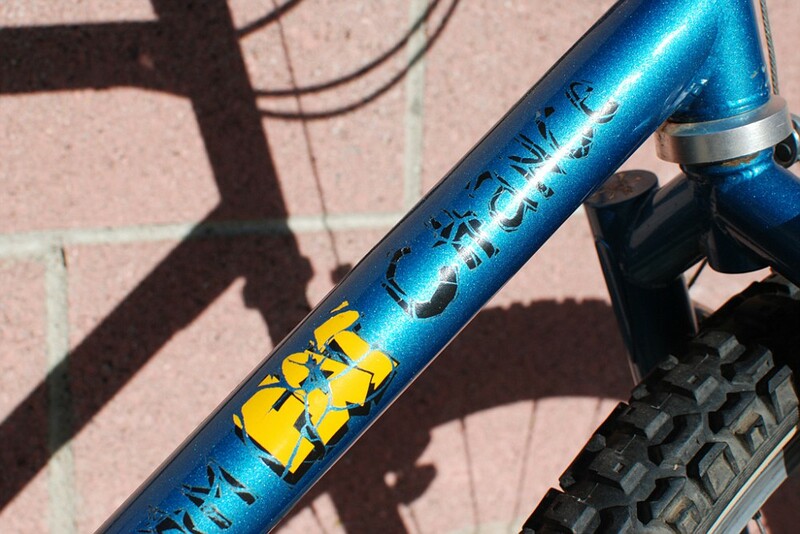 It just so happens that Gary was working for Fat City at the time he built the bike and so it shares its basic geometry with the Team Comp. 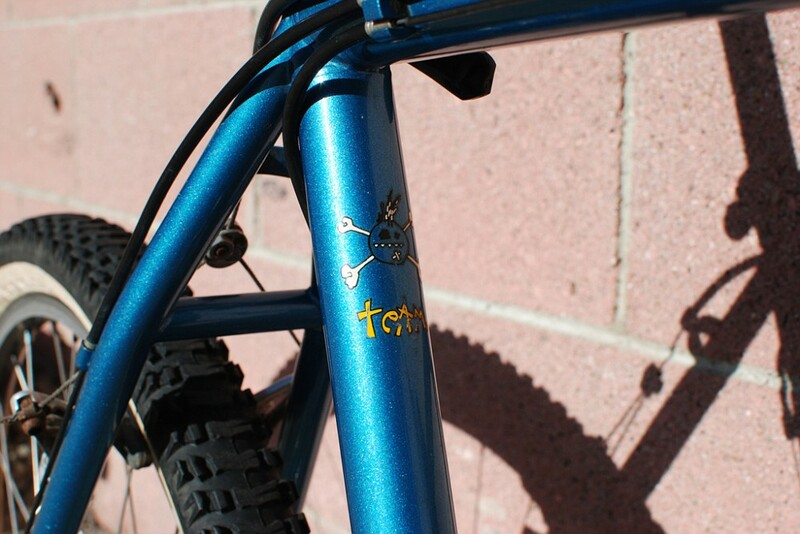 This bike represents a major turning point in the fabrication and material choice and fabrication techniques used in mountain bikes. 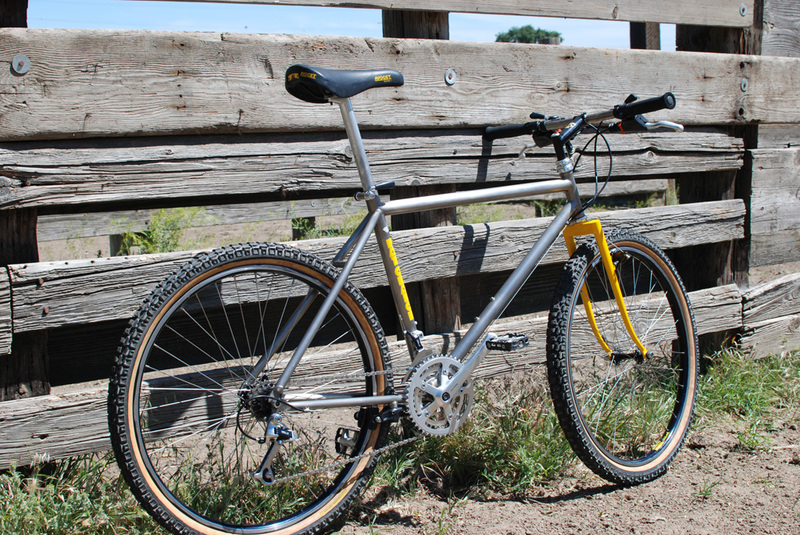 Although it's tough to prove this statement, those in the know feel that this is more than likely the first ever Titanium mountain bike. 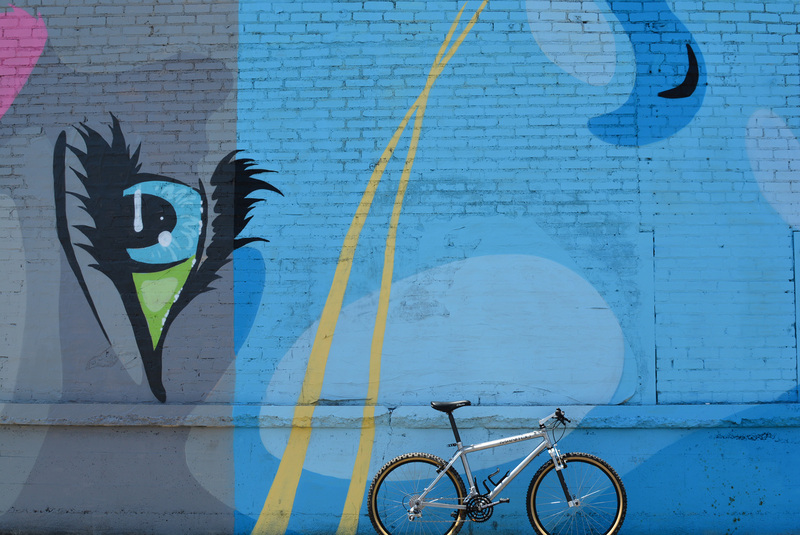 Merlin is largely credited with being the first company to manufacture Titanium mountain bikes. 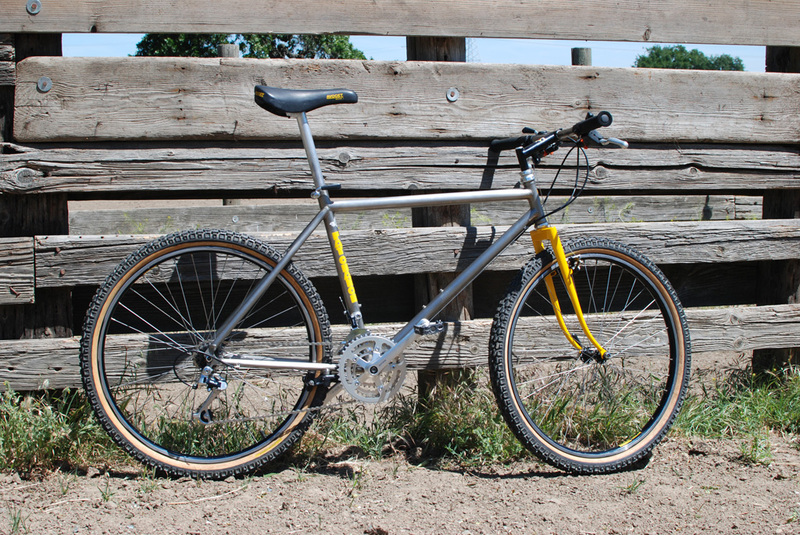 Gary Helfrich was one of the three founders of Merlin (along with Gwyn Jones and Mike Augspurger), so logically if he built this bike before starting Merlin it would be the first. The frame is constructed from straight gauge tubing with a wall thickness of 0.041"for the main triangle and 0.032" for the stays. 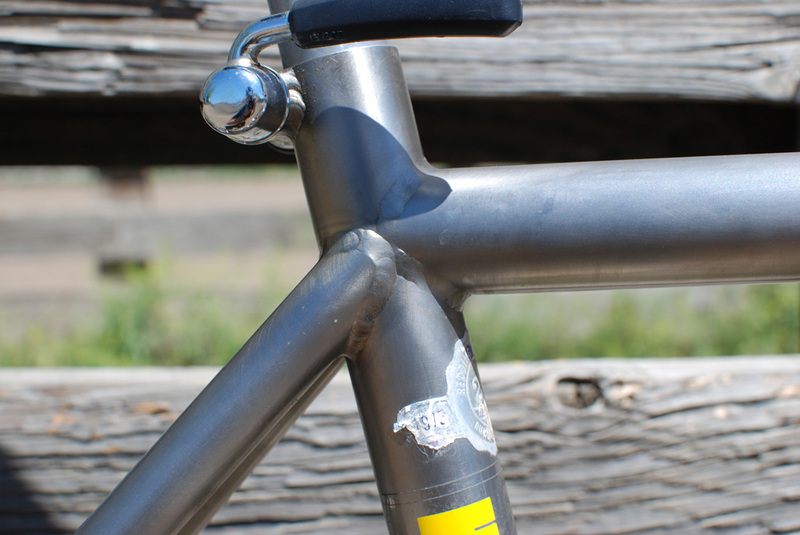 Head tube and seat tube angles are both 72 degrees. Since Titanium has to be welded at very high temperatures and bathed in an inert gas to prevent it reacting with Oxygen Gary had to employ Plasma Arc Welding, a relatively complex and complicated process for the application. 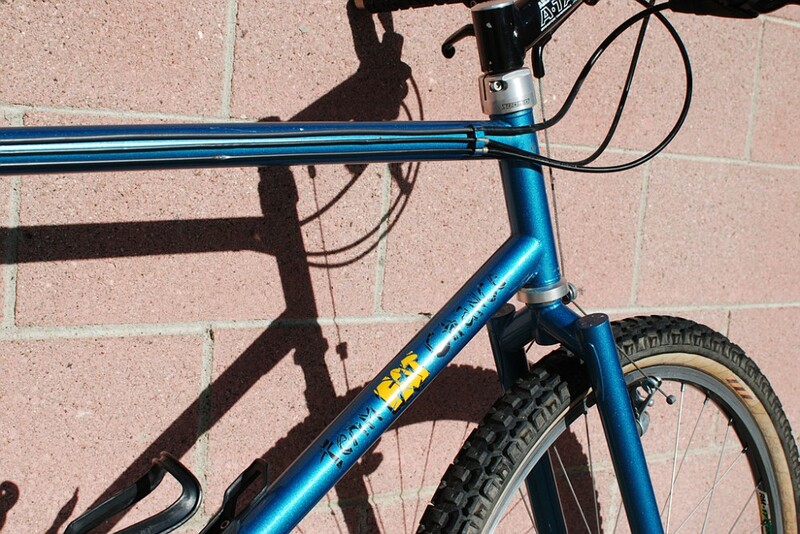 The welds on this bike are much more crude than even on a late 80s Merlin. It seems that Gary and the team at Merlin quickly mastered the process. 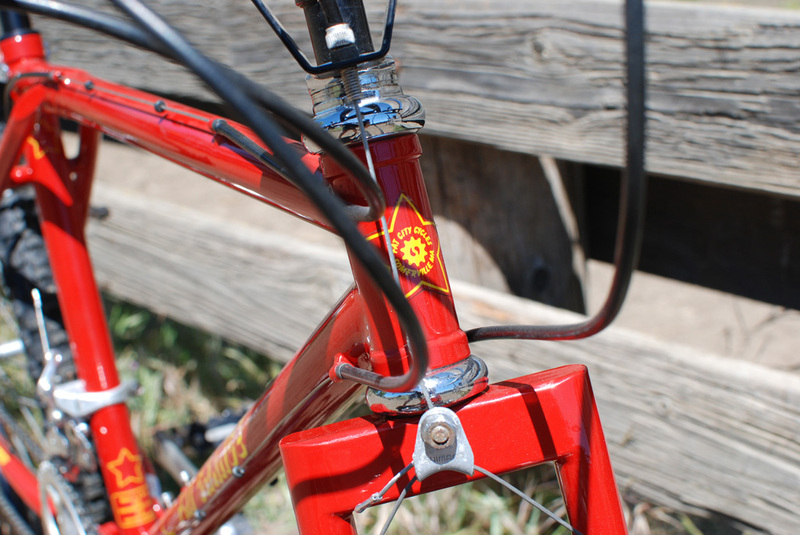 The best way to describe the ride characteristics of this bike would be to call it compliant. It's very pleasant during the climb, feels planted and efficient. It tracks well and is easy to handle and change direction. 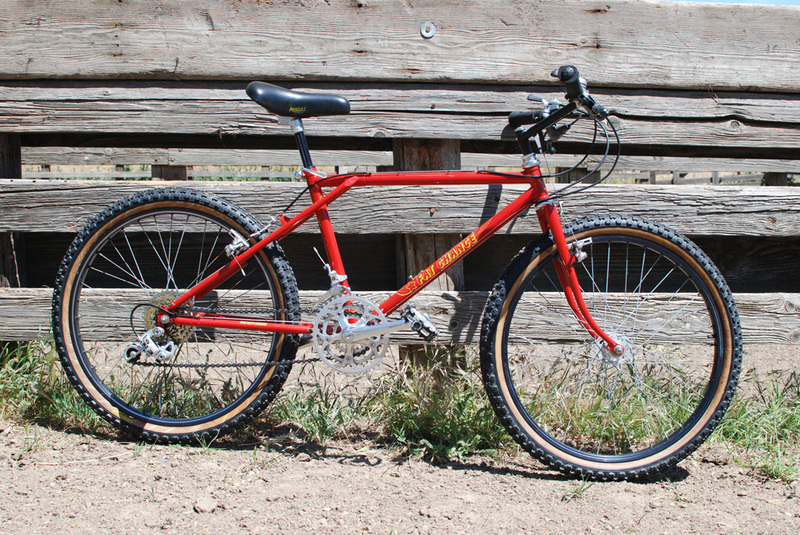 Although I'm used to lighter bikes, at just over 24 lbs it must have been a breath of fresh air to the riders at the time. Chris Igleheart raced the bike for a part of the season and commented that he loved the effortless way it climbed, but was definitely afraid of it on the descents. I'm sure the noodly box crown fork (which he welded!!) didn't help. 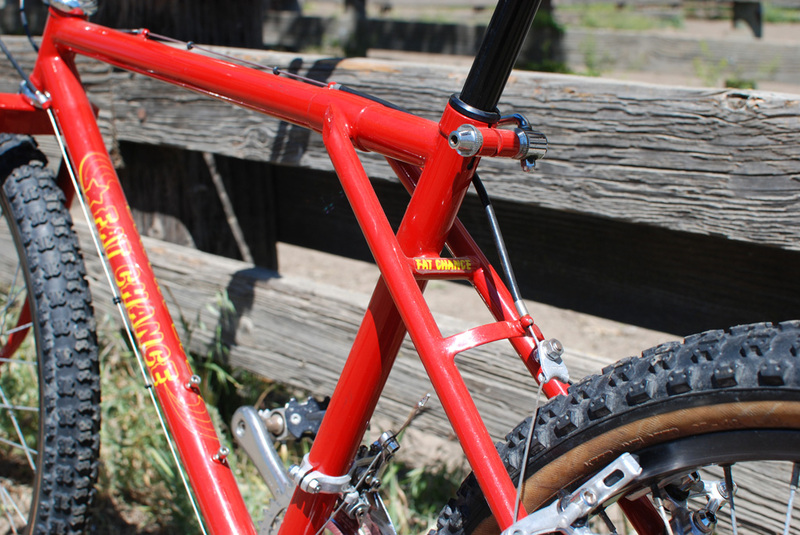 This fork doesn't have the reinforcing gussets joining the legs to the box crown as the alter forks had. 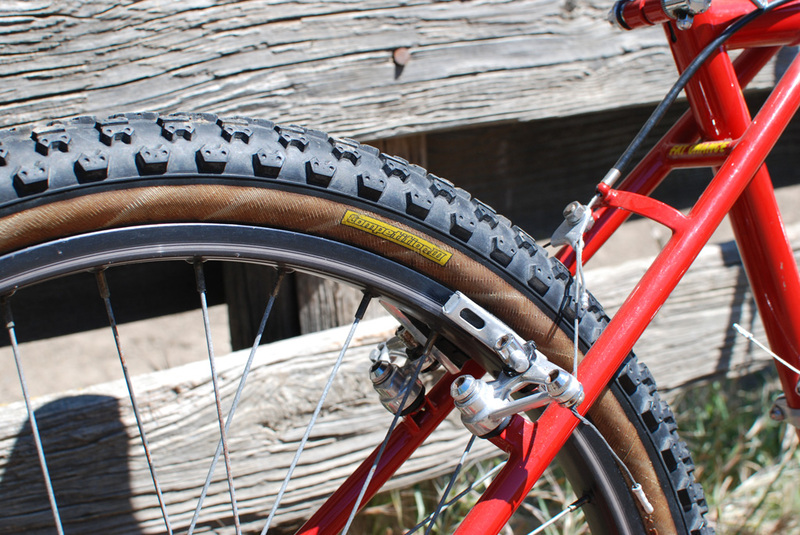 Although I didn't have a chance to take the bike out on any real trails, I definitely feel that it could get a little squirrely on some seriously technical terrain. Rather unique and uncommon for a Fat rear entry drop outs. Whether due to user error or for other reason, the rear kept slipping under heavy load resulting in the tire rubbing against the seat stays. Not a lot of tire clearance here!! Very pleasant cockpit. 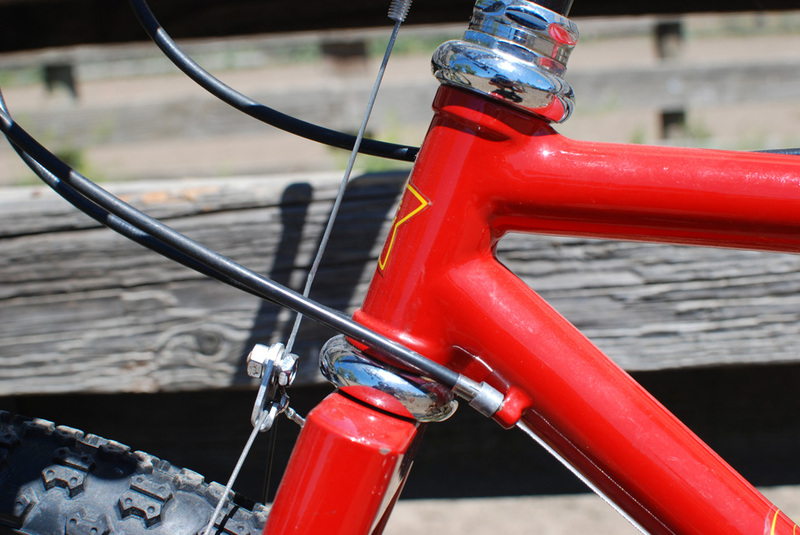 I loved the early Magura motorcycle levers!!! 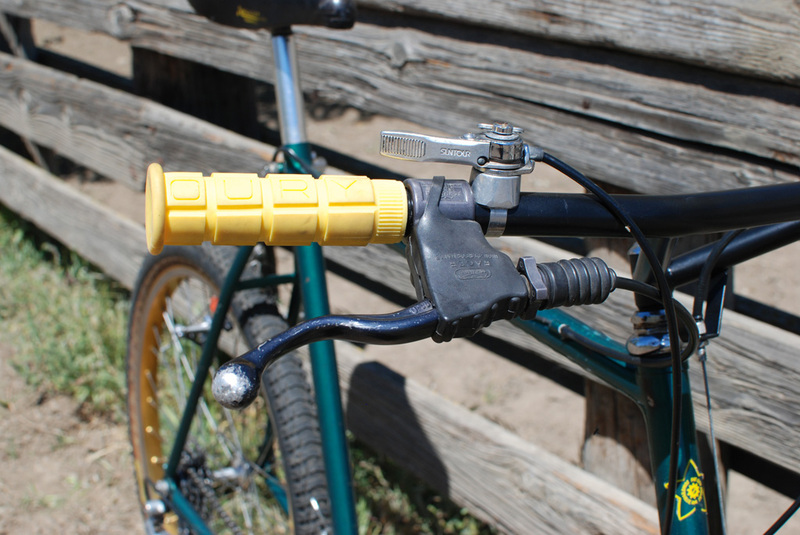 Fun fact about early Magura levers. 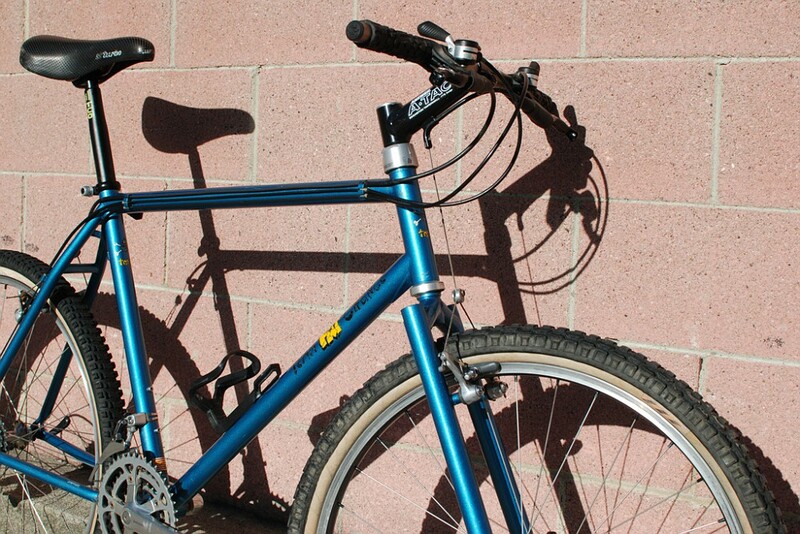 Maybe some of you with old bikes noticed you seems to have two left hand levers on your bike, i.e. 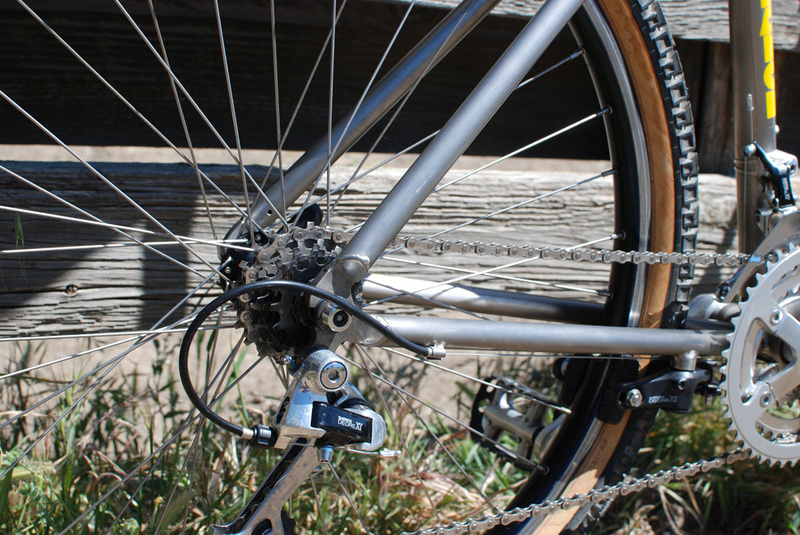 the Magura logo is upside down on the right lever. 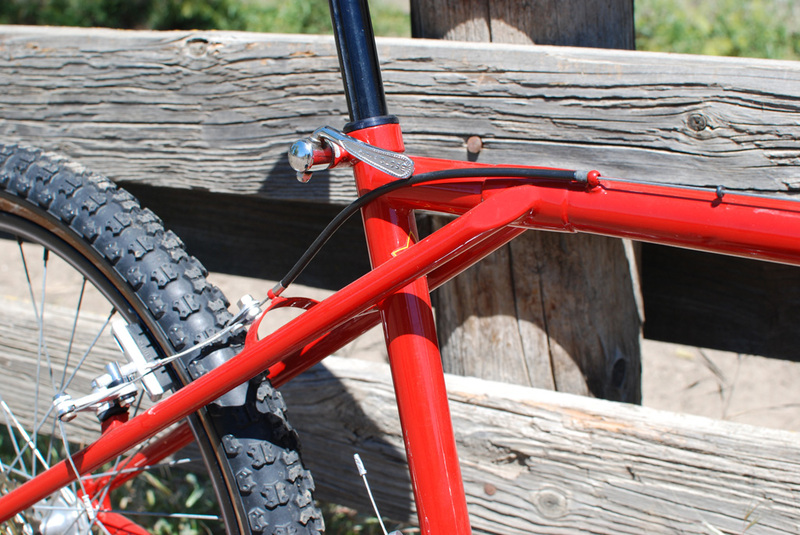 Turns out that early one Magura only used long reach levers for clutches and short levers for brake applications. 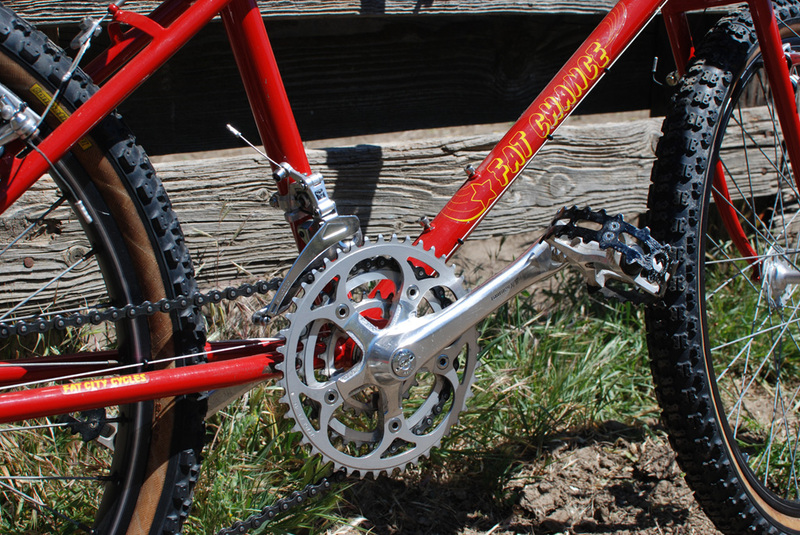 So bike builders had to buy two clutch levers and flip one upside down to get long reach levers for mountain bikes. 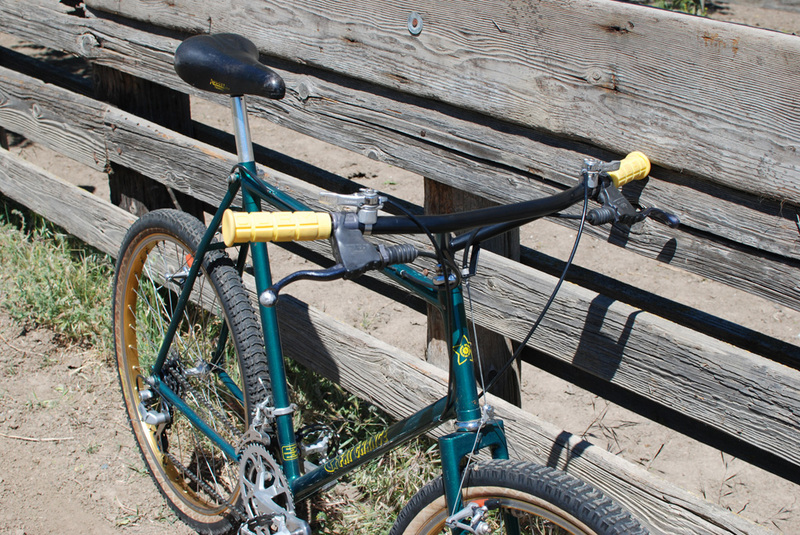 Hence most early vintage mountain bikes have two left levers with one being upside down. 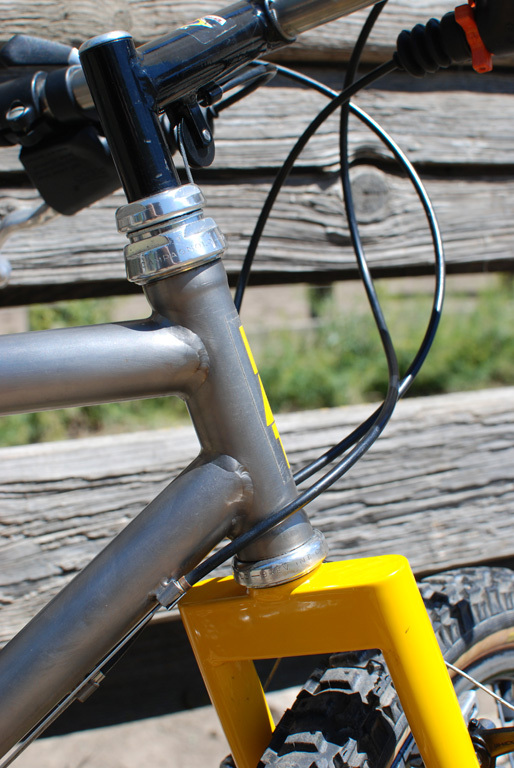 Detail of headtube which was stretched to accomodate the headset. 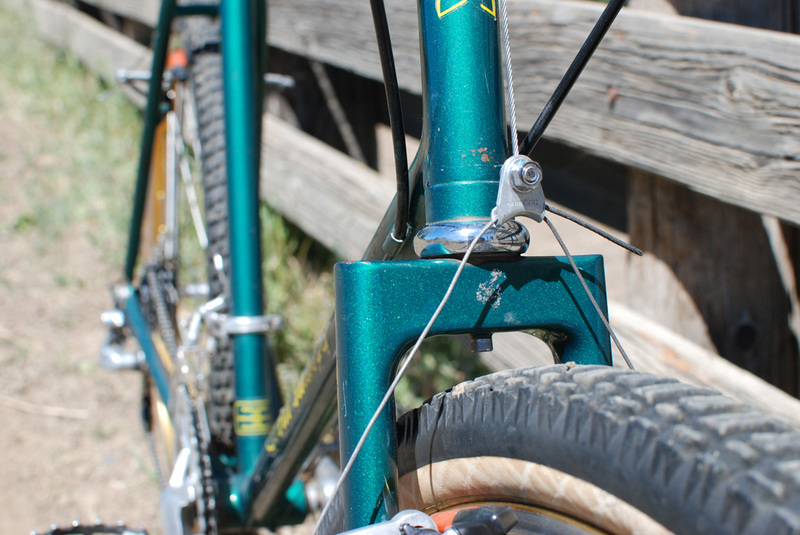 Evidently tubeset selection was very slim back in the day, so both the bottom bracket shell and headtube had to be stretched to fit the application. 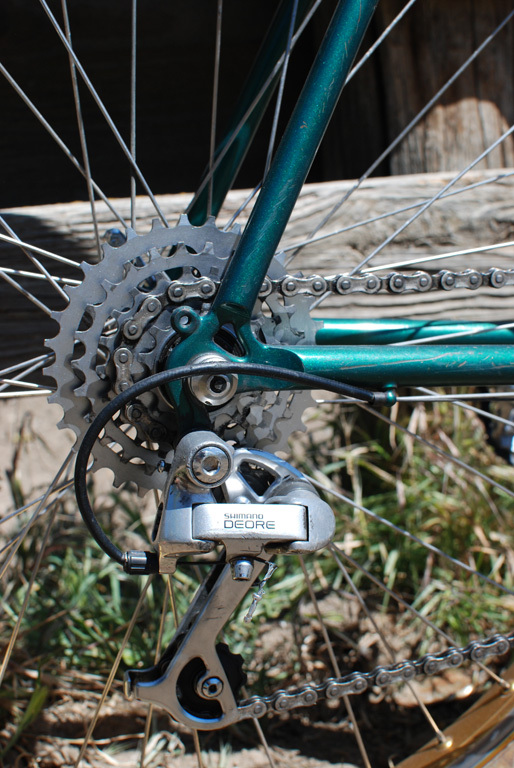 Notice the lack of inside gussets on the box crown fork. The yellow fork combination was later repeated in one of the merlin catalogs, a tribute perhaps?? Closeup of some of the welds, really a different looking bike from the Merlins it ultimately inspired. 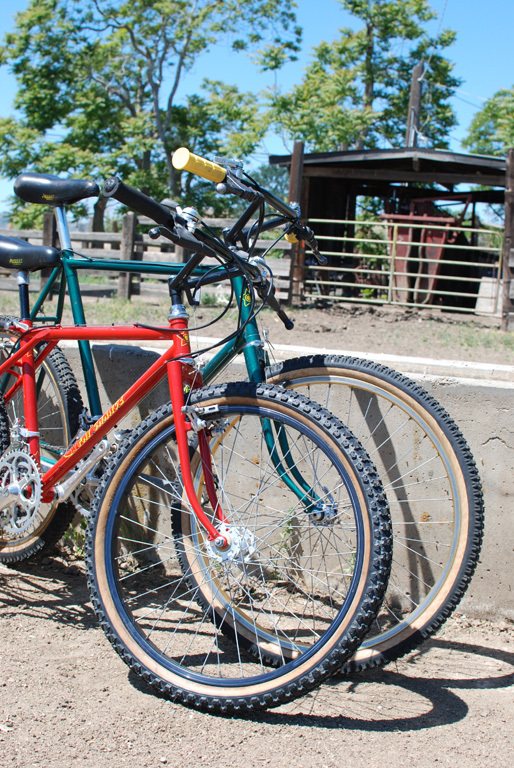 I had the lucky opportunity to spend this weekend visiting a good friend up in the bay area and check out his amazing collection of vintage Fat Chance mountain bikes. 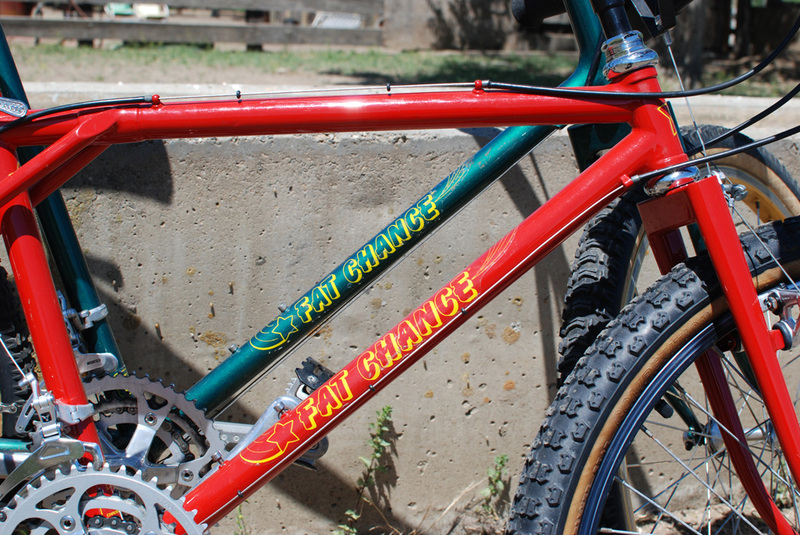 I'll try to do my best to capture and describe a few of the special bikes in his collection starting off with Fat Chance #831, that's the first bike built in 1983. 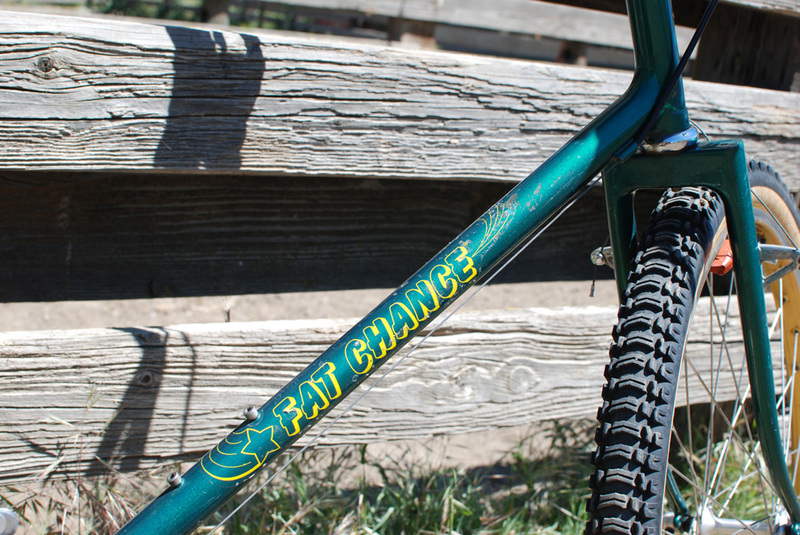 Chris Chance starting building road bikes in the late 70s, but it wasn't until around 1981-82 that he officially started building under the Fat City brand. 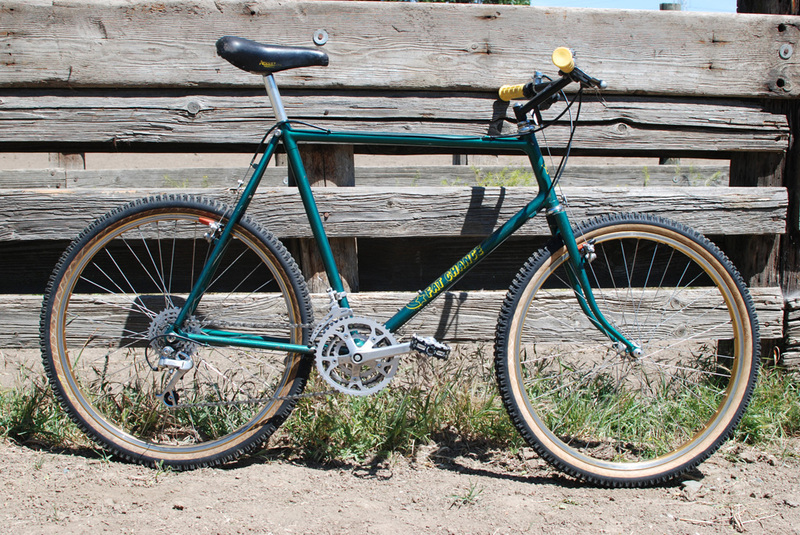 He and his partner built their first mountain bikes in 1982, supposedly only 15 were built. 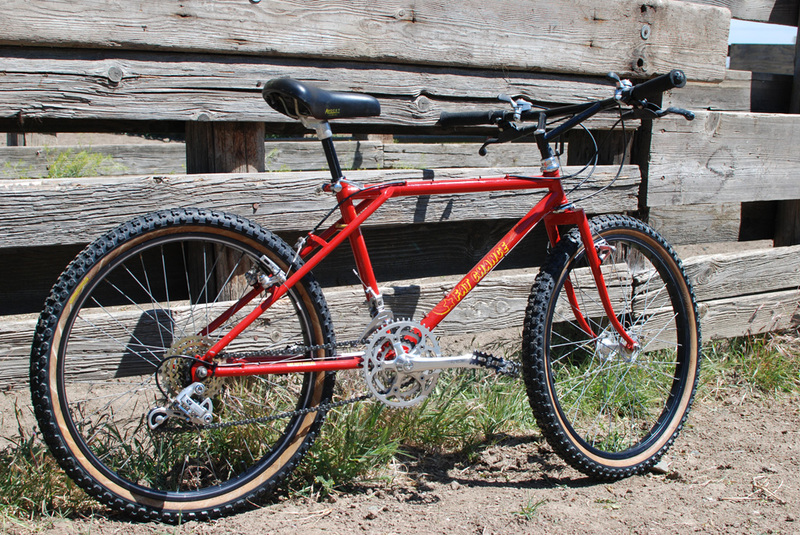 The first 'production' Fat Chance bike came out in 1983 and this is the first one built. 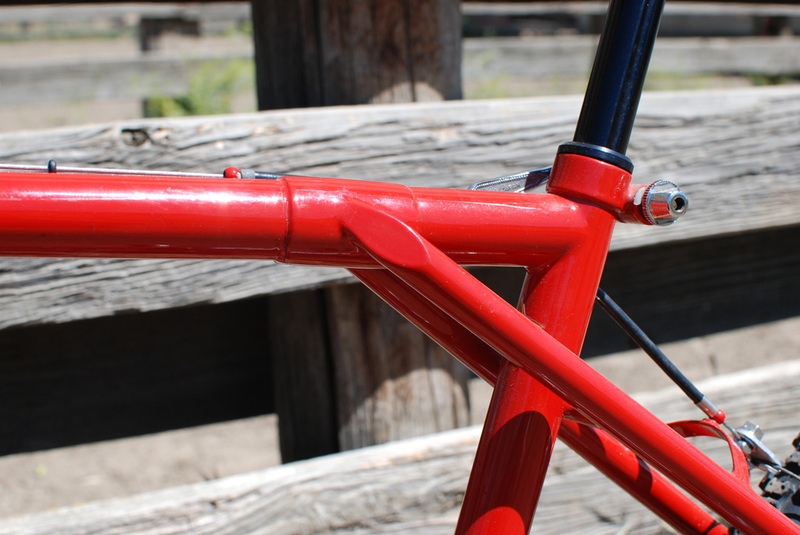 This frame is fully fillet brazed, a feature not common to most Fats. It's beautifully made, with great attention to details throughout. 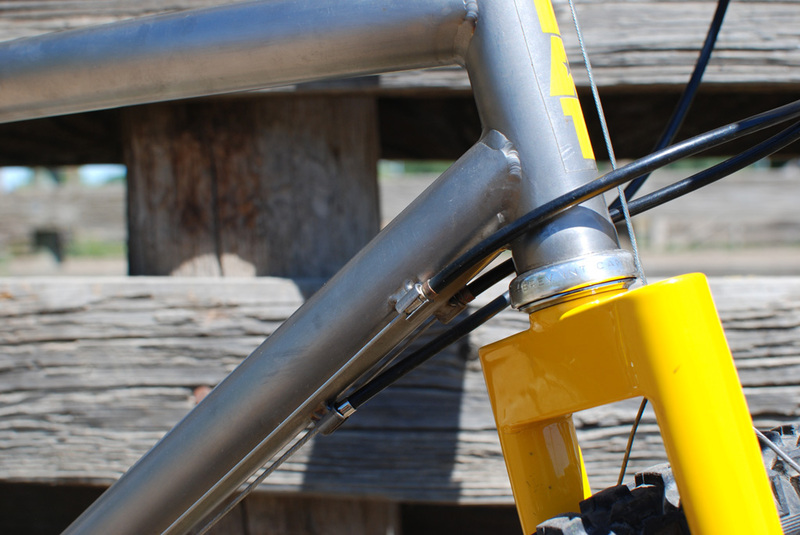 A few design details are reminiscent of other brands, such as the seat stay binder bolt a la Ritchey or the custom built bullmoose bars often used on Ritchey/Fisher/Ross and many other brands of the rapidly emerging mountain bike industry. 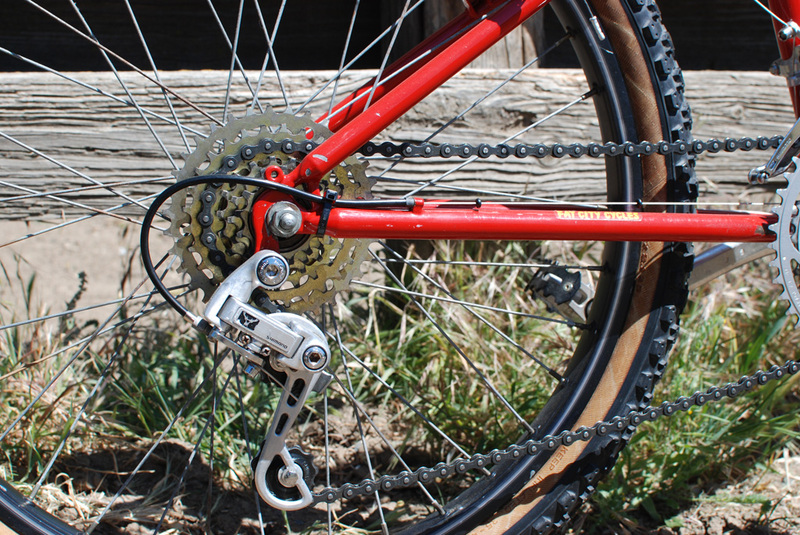 The components are a mixture of early Shimano Deore (probably not original) rear derailleur, Tomaselli (previously incorrectly identified as Magura) brake levers, Suntour Power Shift shifters and Mountech front derailleur, Avocet hubs, Shimano FC-B124 cranks and BR-MC70 brakes. 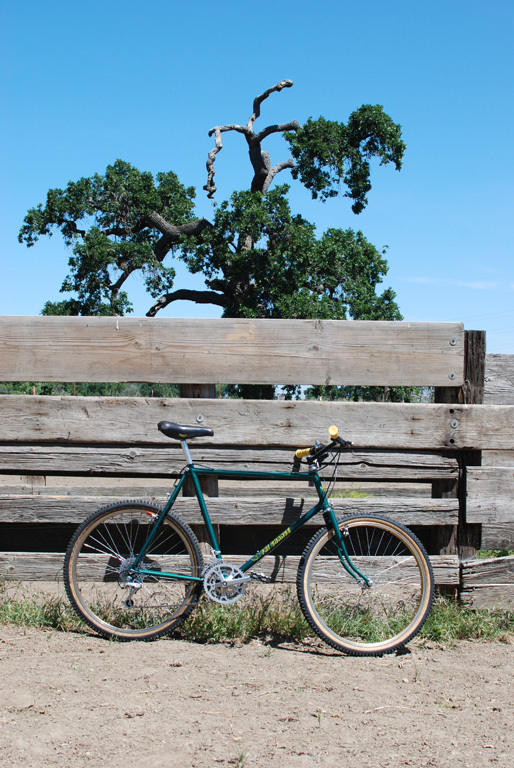 Seatpost is SR Laprade and the saddle is an Avocet Touring. 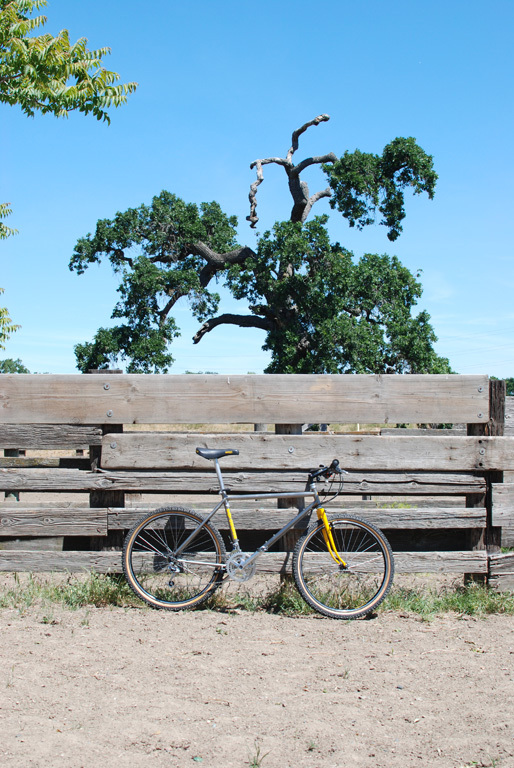 I did't have a chance to take this bike on any lengthy spins, but initial impressions were pretty well in-line with expectations based on looking at it. 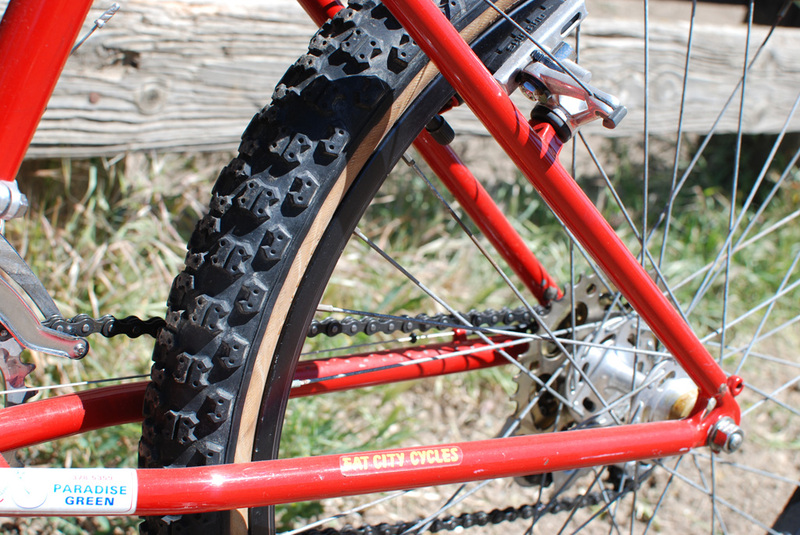 The slack head tube and seat tube angles crate a rather comfortable ride, the steering is relaxed but not slow by any means. 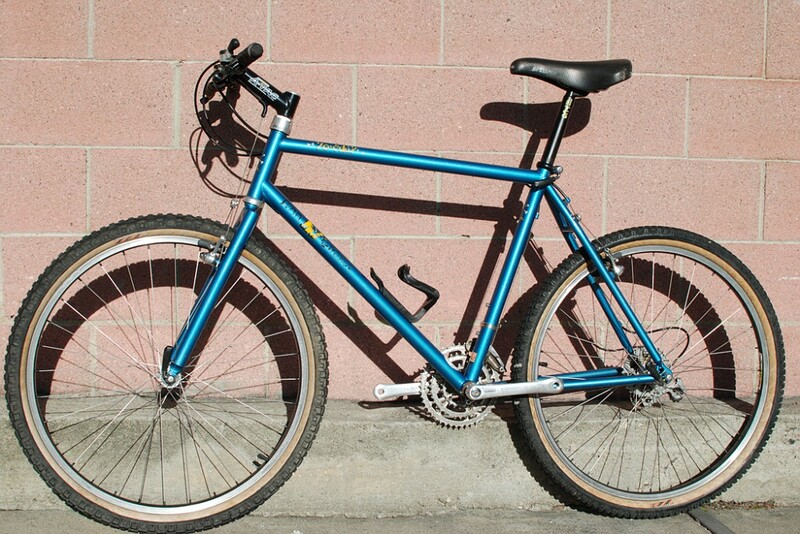 The 16 7/8"seat stays were relatively short compared to other bikes from that time period and when combined with a 72 degree seat tube and a longer top tube resulted in an open cockpit giving the rider room to easily move weight back and forth for better traction during climbing. This is a large and somewhat heavy bike and the parts were a bit tired and need need of some service, but it was still a pleasure to ride and I'm grateful for the experience. 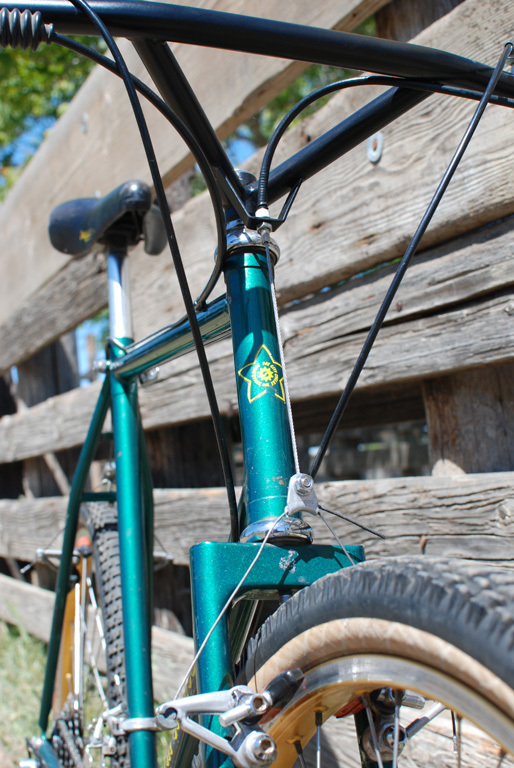 I've been working on a Yo Eddy bike for myself for quite some time, trying out different sizes and forks until I figured out what I wanted. 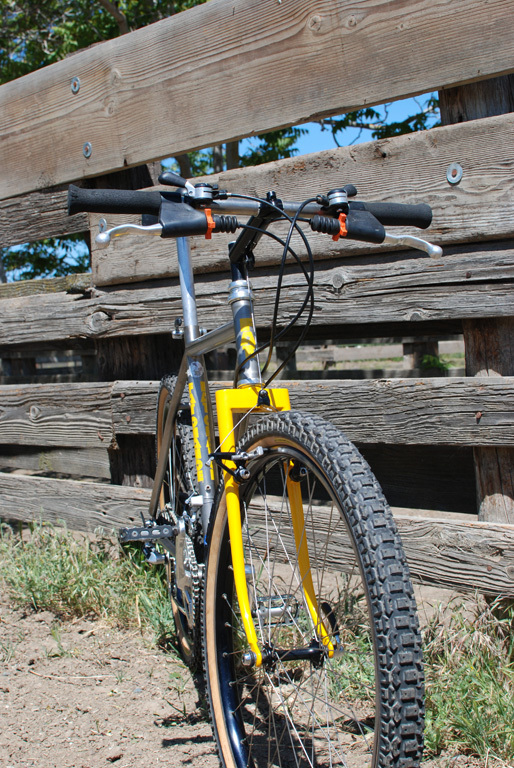 Ultimately I decided that I needed a Large frame and more or less settled on one with a Yo fork instead of a BOI. I'm still not 100% settled on the last bit, but as non-suspension corrected BOIs are hard to find and I wanted an early Yo frame my hand was forced. 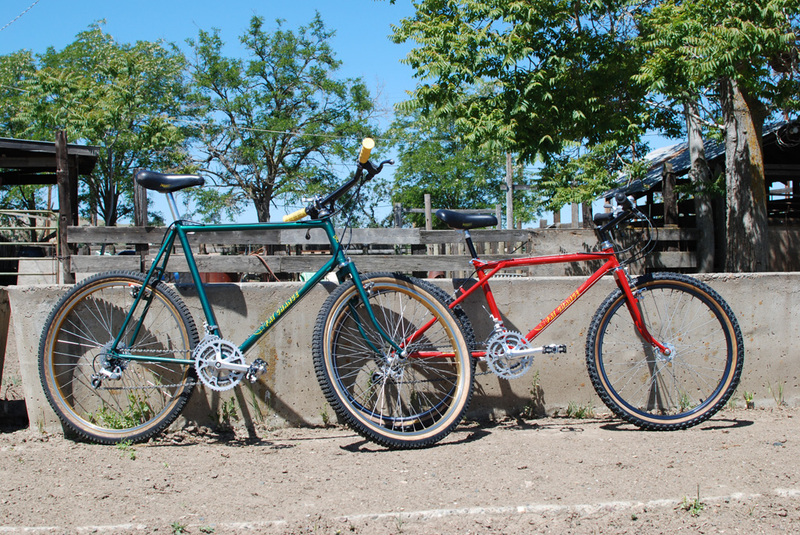 I was getting ready to get a frame and fork repainted (they were mismatched colors) when this bike came up. 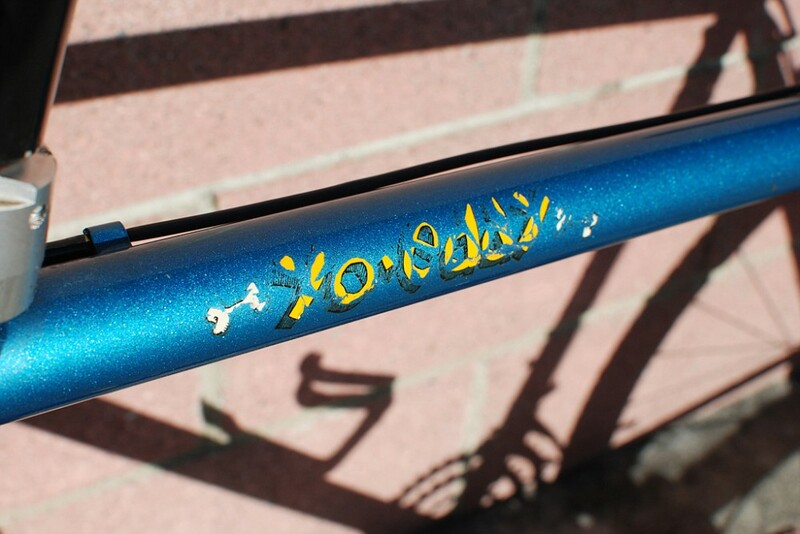 It's a 1990 Yo Eddy, built in November so after the switch from Z serial numbers to Y. Build is pretty basic XT with an ATAC stem, Stronglight headset and Sakae TCO post and Titanium Bulge bar. The paint condition is really fantastic with only a couple scratches and chips. The decals are worse for wear, but I think the cracking is kind of neat and plan on leaving them as is. 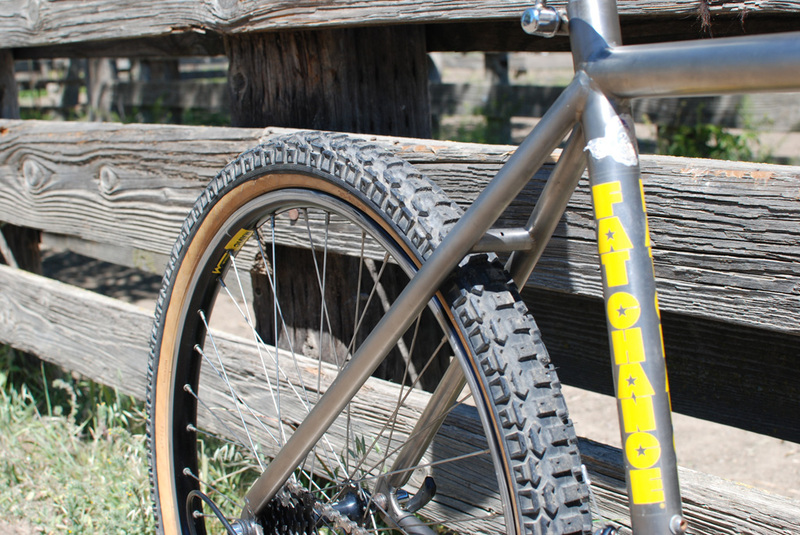 Overall, I don't plan on changing much on the bike with the exception of some of the components. 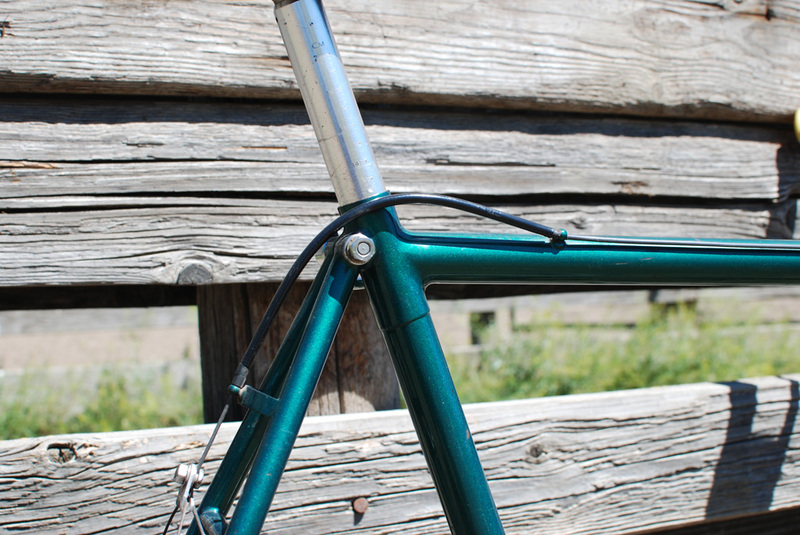 The color is a beautiful teal metallic that hasn't lost any of it's original luster and sparkle!